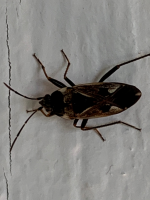 You are here: Home / Western Conifer Seed Bug. A western conifer seed bug, a type of leaf-footed bug, is a common insect in Canada. 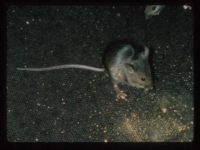 It is fairly large, measuring about ¾ inch long, and is reddish brown with a few white markings. It is distinctive in appearance because it possesses leaf-like structures on its large back legs. People rarely notice this insect during summer as it feeds on pine trees. 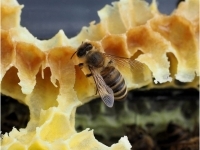 However, it is commonly spotted indoors during fall and winter as it searches for sheltered sites to spend the winter. It can accidentally enter homes through cracks and gaps, much like boxelder bugs and lady beetles. They are a nuisance by their presence but otherwise are harmless. 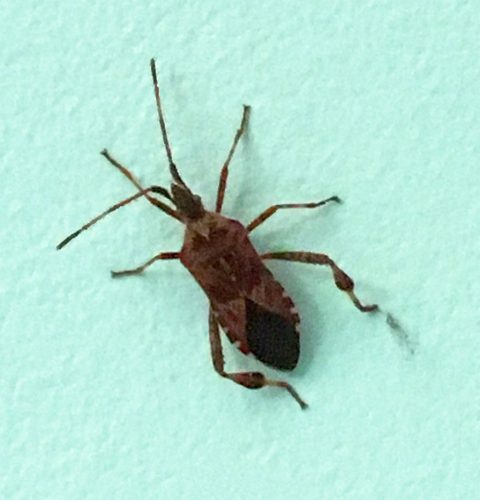 The Western Conifer Seed Bug, Leptoglossus occidentalis, is one of the Leaf Footed Bugs that somewhat resemble another family, the Assassin Bugs, which includes the problematic Kissing Bugs or Bloodsucking Conenose Bugs in the genus Triatoma that may spread Chagas Disease. They are in the same order of insects, Hemiptera, which includes all True Bugs. 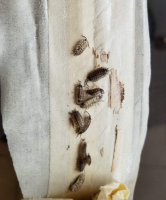 The Western Conifer Seed Bug is a benign species that is native to the Pacific Northwest, but since the 1970s its range has increased greatly to include much of Canada, and recently, portions of Northern Europe. 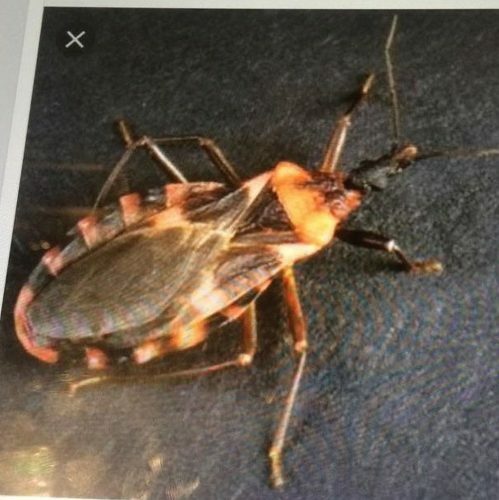 Recently people have been confusing western conifer seed bugs with kissing bugs. Kissing bugs are a type of assassin bug, belonging to the subfamily Triatominae. For this reason, they are also known as triatomines. 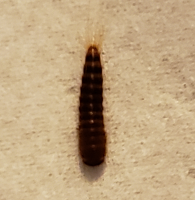 These insects are large, about ¾ to a little over one inch in length and are dark brown or black in color with orange and black markings. Their head is narrow and elongate. 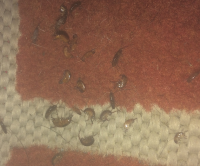 Because of this, this group of insects is also sometimes called conenose bugs. Kissing bugs are nocturnal blood feeders on various vertebrate animals including humans. They get their name from their habit of biting people on the face (other areas of the body can also be bitten). Being bitten is bad enough but kissing bugs are known to vector Chagas disease, a potentially fatal disease. Fortunately, kissing bugs do not occur in Canada. Nearly all kissing bugs are tropical or subtropical in distribution and are found in South America, Central America, Mexico, and a few areas in the southern U.S. All cases of suspected kissing bugs that have been recently received by the University of Minnesota have turned out to be western conifer seeds bugs.